Security is the foremost concern in the cyber world today. As a business become prominent, it become a juicy target for cybercriminals. Case in point is the very recent spree of ransomware attacks that targeted only the financially lucrative targets. The problem with security is that it is a multifaceted endeavor that requires constant and persistent efforts. This is why security of modern digital system and properties has become a specialist task. In addition, website owners need to know the basics of security of their websites. 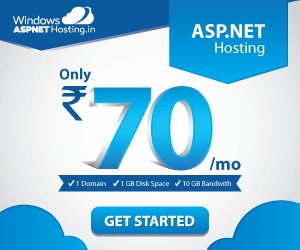 You should always make sure that your website and all the installed modules are updated to the latest version. People postpone the updates because they take time and often hinder the day-to-day tasks. Thus, everything gets delayed until the disaster strikes. Developers of the Drupal platform and the modules release timely updates that fix security loopholes and issues that could lead to a problem. In many cases, the process of fetching updates is automatic and all the site owner has to do is to click the Update button. Make sure that you click that button as soon as the notifications comes in. This is something that not many site owners think about often enough! Unused modules are a security risk because attackers could take advantage of the outdated code of unused modules to break into the website. To prevent this, do a regular module usage audit and remove all modules that could create a security related scenario. The login page is the front gate to your website. So what is the best defense against unwanted intruders? Fortifying your first line of defense. By implementing security measures on your Login page, you can prevent majority of unwanted visitors. For this, install the Login Security module. This module restricts the number of authorized login attempts, and also sends you an email about login related issues. While we are on the topic of Login, use CAPTCHA forms that prevent bots from trying to mess up your site. In the context of Drupal security, .htaccess file has special significance. This file contains all the details about website access and credentials of the various parts and files of the Drupal site. Through this file, you should prevent or limit access to important files of your Drupal site including install.php and update.php. You can even specify the IP addresses that could access various files and subdomains. When you first create a Drupal site, you are asked to create an account. This default user account has access to each and every part of your Drupal site and all the files. A good security practice is to block this user account and create another admin account. IMPORTANT NOTE: Always create the second admin account before blocking the default one. Otherwise you will be locked out of your own website! Many website administrators ignore the user role on their website. Attackers often take advantage of this oversight and use these Make sure that your set appropriate permissions for each user role and no more permissions than required. Be sure to regularly keep checks on the user roles and only provide the very minimum permissions needed for each one. Finally, the hosting provider for your Drupal website plays a very important role in the security of your website. In addition to improving the speed and uptime of the website, the right hosting solution provider ensures the security of your website. 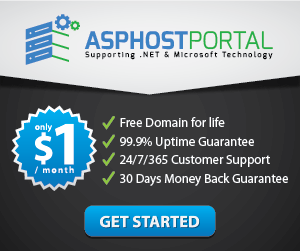 In this context, shared Drupal Hosting by ASPHostPortal is always a good choice. ASPHostPortal provides a security-first Drupal hosting solution with all the server side security measures like SSL by Let’s Encrypt, server level security patches in place. These are some basic security tips that should form the basis of your Drupal website security plan. Now, go ahead and fortify your Drupal site!